The freshman was also named the PacWest Freshman of the Week. Baseball’s Brayden Englert has been named the PacWest Freshman of the Week for the second time this season. The powerful pitcher went seven innings in the first game of last Friday’s doubleheader against Fresno Pacific University, contributing to the Eagles’ blowout win, 11-5. Englert’s pitching helped momentum away from the Sunbirds. He put the team on his back for 21 outs and allowed the Eagles to come from behind and soar to victory. Englert racked up three strikeouts, eight groundouts and 90 pitches all without giving up any walks. 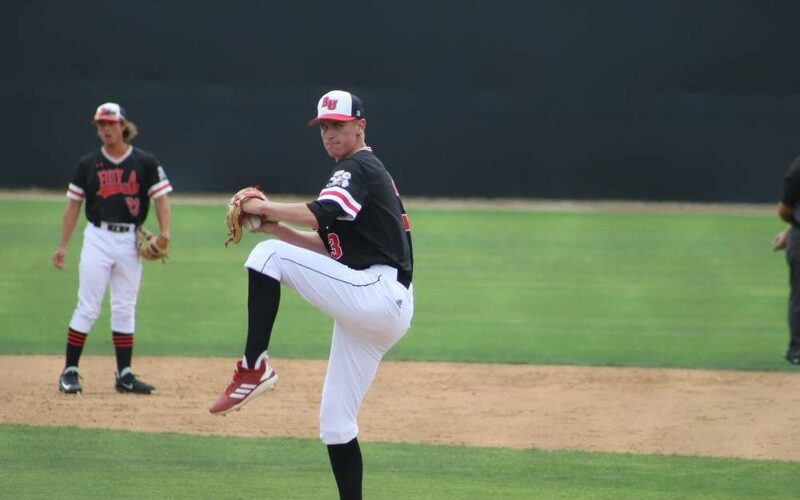 Englert earned his first PacWest Freshman of the Week title early in March against Hawaii Hilo University, when he prompted 15 groundouts and sent 19 batters in a row back to the dugout during a 4-1 victory in that game, his first win while pitching for the Eagles. Englert’s pitching from the mound has been solid in recent games leading the Eagles to big wins, and for that, he is the Chimes’ Athlete of the Week.